Wilson Locando, a weather specialist of the local office of the Philippine Atmospheric, Geophysical and Astronomical Services Administration (PAGASA), said the continuous drop in the city’s temperature is triggered by the enhanced northeast monsoon that hovers around most parts of Northern Luzon because of the prevailing winter season in China and the North Pole. 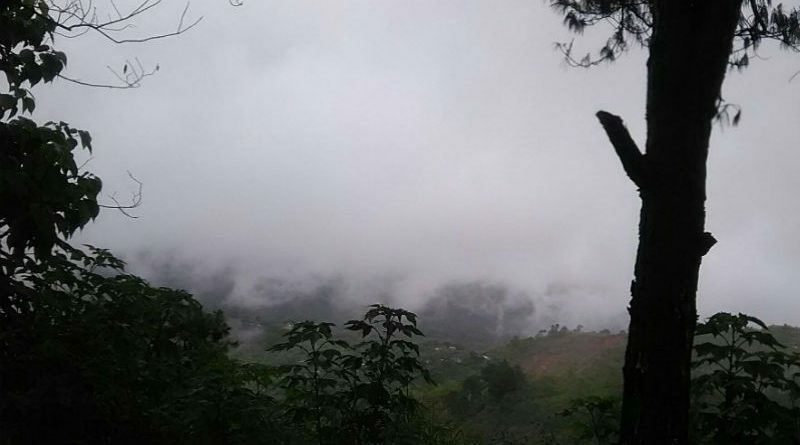 “The temperature in Baguio City and other highly elevated areas in Benguet and Mountain Province will continue to drop up to the middle or end of March because of the enhanced northeast monsoon that continues to prevail in the said areas,” Locando stressed. The PAGASA official said that the 12 degrees Celsius recorded Tuesday morning was the lowest temperature that prevailed in the city this year but added that the temperature could further drop to single digits anytime up to the end of March depending on the development of the prevalence of the northeast monsoon. The cold spell prevails in most parts of Northern Luzon from October to March annually while the warm weather condition will be experienced from April to September every year. However, he admitted that compared to the lowest temperature recorded in Baguio City, the temperature in other highly elevated areas in Benguet and Mountain Province is around 2 to 3 degrees Celsius lower than the recorded lowest temperature in the city. Previously, the regular temperature being recorded by the PAGSA in the city range from 15 to 26 degrees Celsius before dropping to 12 to 24 degrees Celsius during the prevalence of the cold months in the city. The lowest temperature in the city that was documented by the PAGASA was 6.3 degrees Celsius on January 18, 1963 while the fifth lowest temperature in the city was documented to be at 7.5 degrees Celsius on January 15, 2009. City Health Officer Dr. Rowena Galpo reiterated the local government’s appeal to the residetns and visitors to ensure that their immune systems are strong by eating the right kind of food, have a regular exercise and have sufficient sleep for them to shy away from contracting the so-called cold day illnesses. Among the common illnesses that are being diagnosed by health experts in the different hospitals and district health centers in the city include pneumonia, cough and colds, bronchitis, and upper respiratory infections. On the other hand, local and foreign tourists continue to flock to the city during weekends because of their verdant desire to have a chance to experience the prevailing cold weather condition while spending their well-deserved weekend break. Last year, the lowest temperature recorded in the city did not drop to single digits but for most of the time, the early morning temperature was between 10 to 13 degrees Celsius.